As the world leader in serving science, we empower our people to advance innovative technologies, develop meaningful solutions, and build rewarding careers. At Thermo Fisher Scientific, we work together to accelerate research, solve complex analytical challenges, improve patient diagnostics and increase laboratory productivity. We know that our people are the source of our global success, and we embrace the unique qualities and differences of each of our professionals. The story of our progress begins with giving our people the freedom and support to drive innovation through cutting-edge thinking. 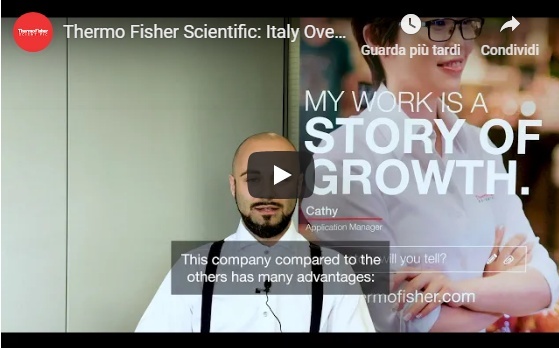 If you’re looking for an opportunity that you can build your future on, you’ll discover that, at Thermo Fisher Scientific, each one of our 65,000 extraordinary minds has a unique story to tell. And we all contribute to a singular mission—enabling our customers to make the world healthier, cleaner and safer. What story will you tell? Explore our opportunities and join our team. 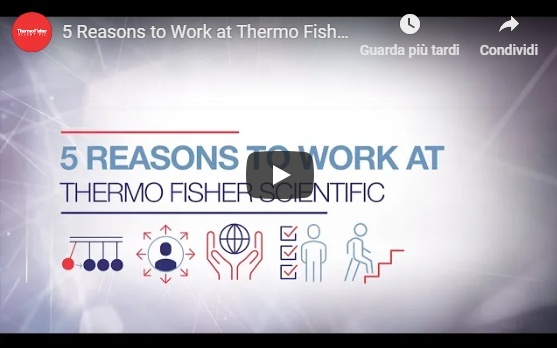 WHY WORK AT THERMO FISHER SCIENTIFIC? On our team, everyone makes an impact. It starts from within each of us, and when we bring our expertise together, we make a significant difference—to our team, to our customers and to the world. You’ll discover resources that match your professional development interests, a culture that welcomes your ideas and opportunities that only a global leader can provide. As part of our global team, what you do contributes directly to our mission: enabling our customers to make the world healthier, cleaner and safer. You’ll work alongside enthusiastic colleagues who are dedicated to acting responsibly, collaborating effectively and making a difference in the world. In our diverse work environment, you’ll be inspired by colleagues, empowered to exercise your imagination on real-world challenges and supported with benefits that enhance your life. We are very excited about the opportunities the acquisition of Patheon, leading contract development and manufacturing organization, will bring to our clients. We expand the ways we can support the fast-growing biotech and pharmaceutical industries. By combining our capabilities in drug substance, pharmaceutical development and drug product manufacturing with Thermo Fisher’s clinical trials packaging and logistics services, we will extend our value proposition for pharma clients – delivering an end-to-end solution, from initial drug formulation to clinical trials support to commercial production. Thermo Fisher Pharma Services is capable to support clients at every milestone of the pharmaceutical development, production and delivery process.